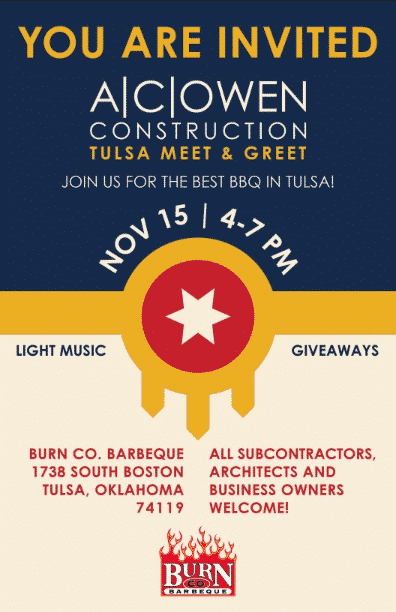 Join us for the AC Owen Construction Tulsa Meet and Greet. We can’t wait to get to know you and share some of the best BBQ in town ~Burn Co Barbecue! Enjoy great food, light music and giveaways. All Subcontractors, architects and business owners welcome.